Life happens. No matter how careful you are, important documents like your car's title can be lost, stolen, or damaged so that they are illegible. 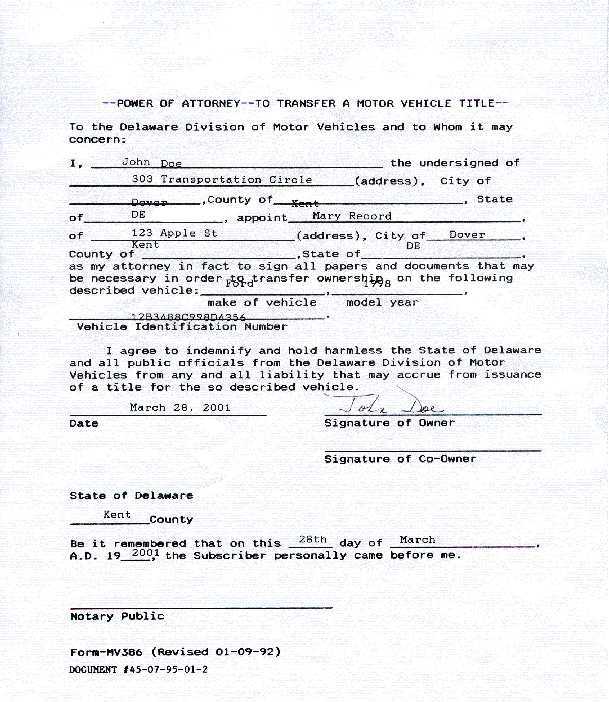 When this happens, you can order a duplicate title through the Delaware Division of Motor Vehicles so that you can get on with selling a vehicle or using it as collateral for a loan. Continue reading this page for all the information you need in regards to the process of applying for a duplicate Delaware title. You can apply for a duplicate title by mail or in person at your local DE DMV office. An Application for Duplicate Title (Form MV 213) must be completed, then signed by all owners of the vehicle. If you and another person co-own the vehicle, you will both have to sign. The driver's license number of each owner is needed for the form. All owners can go in person to the DMV, or a limited power-of-attorney can be signed (check out a sample form). Payment for the $50 duplicate title fee. If there is a lien on the vehicle, the lienholder will need to complete part of the application and the fee will be $55. An odometer disclosure statement saying that you have recorded the correct odometer reading. Tag number and expiration date. Your driver's license number and the car's VIN number. You can remove a lien that has been satisfied by filling out the block on the lower left hand corner of the application for a duplicate title. A lien cannot be added at the same time a duplicate title is requested. You can add it by getting a supplementary title after the duplicate title is issued. What other changes can I make to my title during this process? You can change information on a title that includes correcting a VIN, adding or changing a name, and updating the vehicle's mileage.